World of Weird Al Yankovic • View topic - CBB 518 - "Mike Colter"
CBB 518 - "Mike Colter"
Scott is excited to spend Thanksgiving celebrating with the Comedy Bang! Bang! crew, but will a group of outsiders disrupt his plans? 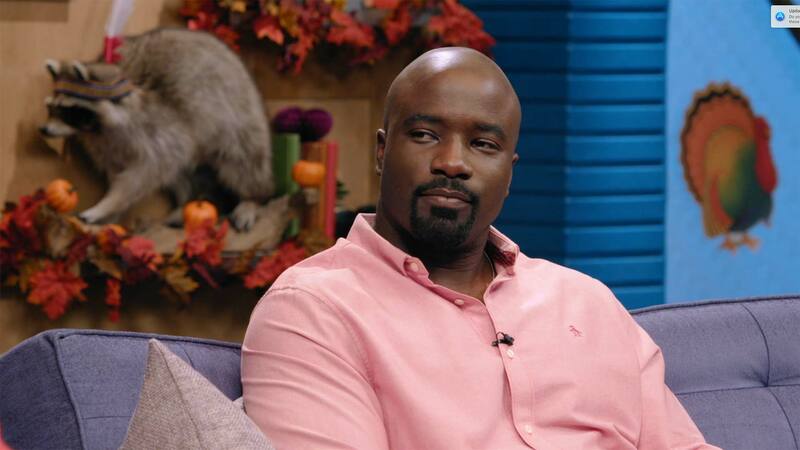 Also, Mike Colter discloses a shocking revelation, and teacher Joe Bongo discusses his extra-curricular activities. Apparently, the person at IFC who picks these screengrabs has some system upgrades available for download. Re: CBB 518 - "Mike Colter"
Loved the the Shakespeare quote at the top of the episode. All three of the daughters being different races, and having different accents was hilarious, and probably the highlight of the episode for me. Then loved the Planet Of The Apes parody at the end, obviously. And the "bad hair life" joke is one that Al has made on occasion, it's perfect.